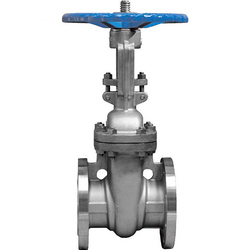 We are a leading Exporter of gate valves from Pune, India. Being one of the leading manufacturers and suppliers of this commendable range of Gate Valves, we direct our efforts towards maintenance of its quality. Thus, the offered range is manufactured as per the set industry norms and guidelines, utilizing the finest raw materials and modern machines. The offered product is used for the purpose of controlling the flow of various liquids.